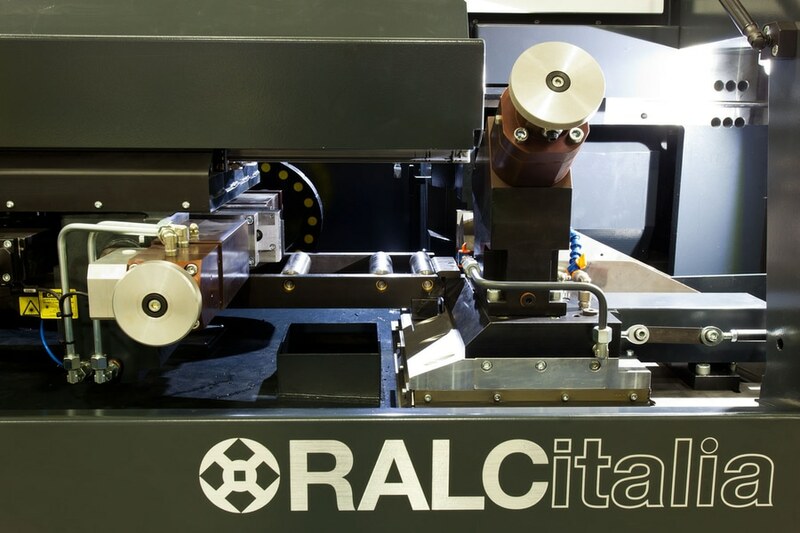 News & Trends> Industry News > Industrial machines and equipment > RALC ITALIA Srl - Divisione CONNI > Sawing Machine Gemini 100-3 - NEW! The Gemini 100-3 automatic saw is the latest evolution of the famous Gemini 80-2, sold in hundreds of specimens around the world. The Gemini EVO 2018, the Gemini 100-3, maintains intact the strengths of the traditional machine and further improves the features of speed, strength and precision which have always been peculiar to this model. The saw can cut in single, double cut (vertical) and triple cut (vertical, max. diameter 30mm) tubes and/or bars both with HM blades and HSS blades. 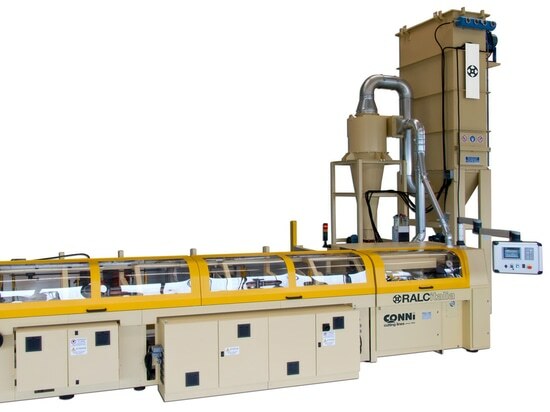 The Gemini 100-3 is available with cutting heads for steel, brass, ecobrass, ALU and copper and it is conceived in order to grant the highest productivity. 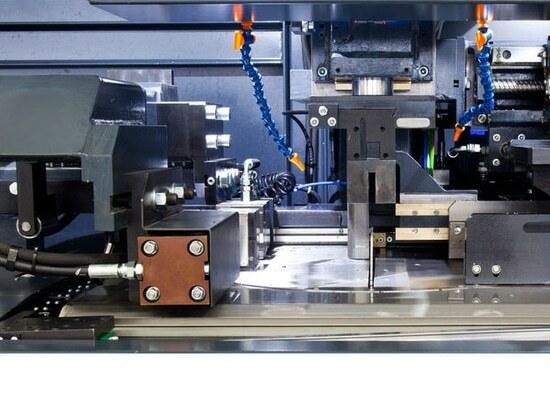 The frame consists in a single block, machined on the machine tools; the weight of the machine has been increased by 650kg, and now reaches the weight of 3.500kg, thus contributing to the stability of the machine, which means precision of the cut, longer tool and machine life and reduced tool change times. 	40-50 (50 with ring; 4x11x63- 4x14x80). 1. Motor 11 kW – Sizing 132 (47-297 rpm/’). Continuous speed variation through inverter. 2. Siemens motorspindle – air cooling - 15 kW (32-275 rpm/’). •	Cutting head for BRASS/ECOBRASS/ALU: Spindle with preloaded bearings. Sawblade guide with air bearings, including two jaws in order to avoid the set-up of the machine when changing the sawblade diameter. Continuous speed variation through inverter (830-2.600 rpm/’). 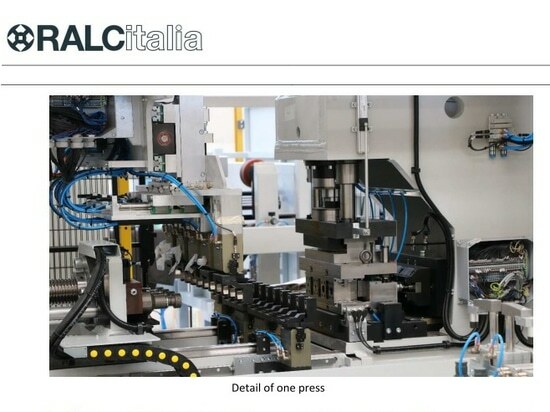 As alternative, high-speed and high-precision feeding carriage with 500mm-feed and multi feed facilities. Movement by ball screw Ø 25mm, step 25mm, driven by SIEMENS Brushless motor. Full automatic line for cutting, brushing, washing, pressing and polishing. 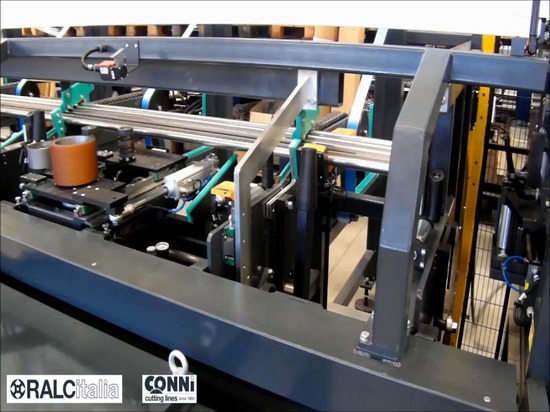 Full automatic line for cutting, brushing, washing, pressing and polishing. 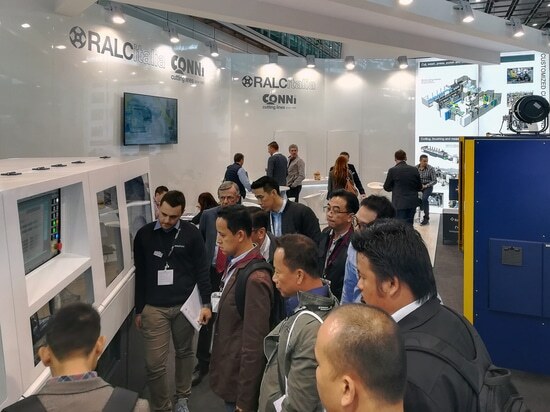 Ralc Italia - Conni Cutting Lines at the Tube 2018 exhibition: a successful event! 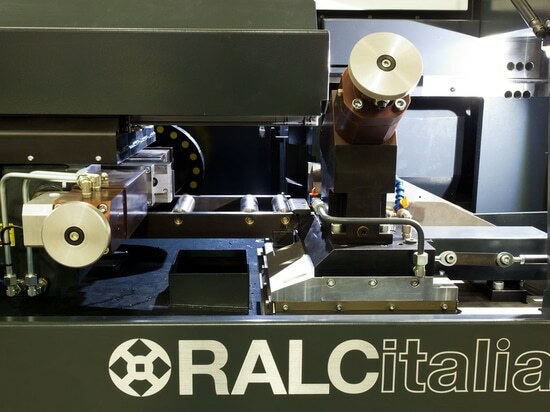 Ralc Italia - Conni Cutting Lines at the Tube 2018 exhibition: a successful event!